Which Space Heater Should You Choose for the Large Room? Previously I wrote on centrifugal juicers which is quite an understandable term. But are you familiar with Masticating juicers? Masticating Juicers may sound complicated to you, but once you know what this is, you’ll love it. Masticating juicers, also called single gear juicer, is a slow spinning juicer which crushes the fruits and vegetables until they turn into their liquid form. 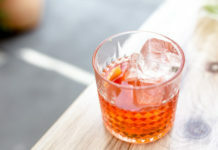 You want juice with less pulp and better texture? Masticating juicers are the right thing for you. Aicok SLow Masticating Juicer is a kitchen beauty that comes with 2 years of warranty. Isn’t that great? 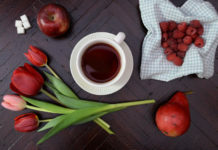 It is one of the best cold press juicer, masticating juicer of course. The Aicok Slow Masticating Juicer is one of the hottest selling juicers of the year. It has a single auger juicing method. Aicok Slow Masticating Juicer is solidly built, fairly priced and has a stylish design with amazing black finish. Aicok SLow Masticating Juicer produces juice of high nutritional value. This juice extractor will result a nutritious, high quality juice containing more vitamins, enzymes, minerals and trace minerals when compared to a juice extracted from centrifugal juicers. 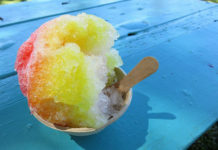 It uses a slow juicing method in order to minimize heat build up and to preserve essential minerals and vitamins. 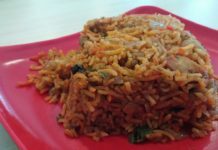 Aicok is best used with fruits, veggies, and wheat-grass. This juice extractor has a low speed minimal oxidation which minimizes the oxidation of minerals and vitamins. This means healthier juice. This juicer includes reverse function motor which gives 80 rpm, low speed, which means less foaming, no clogging, or heat build up which prevents oxidation. 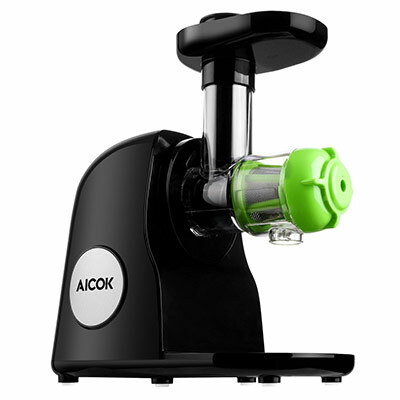 Aicok Slow juicer has an auto pulp-ejection for continuous operation. It is an easy-to-clean juicer and is dishwasher safe. Also, easy to assemble and operate. It runs quietly which makes it more suitable to use. The only cons that this kitchen beauty carries is that it has a bit small feed tube. If you are thinking of buying of a juicer and a food processor, SKG Premium 2-in-1 Anti-Oxidation Juicer is the one for you. It’s like buying a masticating juicer and getting a food processor for free. You can grind, squeeze and crush leafy greens and fruits into juice, even the giant beets. How cool is that? This juicer plus processor has a low speed motor and a single auger which performs your task smoothly without any noise and occupies less space in your kitchen. 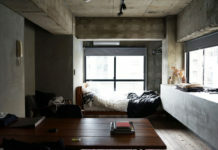 So, it will be okay if you have small space. SKG Premium 2-in-1 Juicer contains high quality 150-watt AC with low speed of 65 RPM which squeezes your ingredients with minimal oxidation. The high quality anti-oxidation build and sealed valve further reduces oxidation. The minimal oxidation helps to preserve the natural taste, nutrients and enzymes. The extracted juice can be kept fresh up-to 3 days without making any changes to its nutrients level and its taste. Isn’t it great? 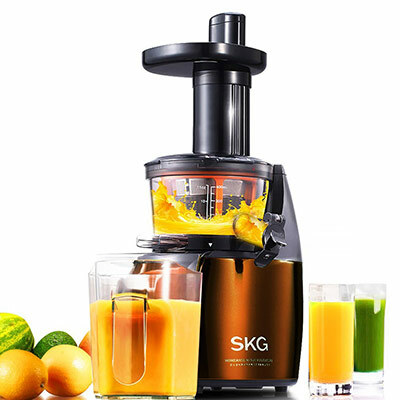 This SKG Juicer has its parts, stainless steel, the silicone components and the PEI juicing Screw, made of high quality TRITAN food grade anti-oxidation materials. This slow and powerful masticating juicer and processor ensures high juice yield. This masticating juicer works perfectly not only as a juicer but also as a food processor. 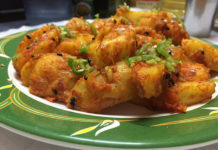 It’s stainless steel slicer can slice potatoes, carrots, cucumbers, sausages, and more into 0.08 inch thin slices and the shredder blades can shred foods into 0.12 inch tiny shreds. This masticating juicer comes with food guide tube, adjustable food pusher and two screwing axes. It has 2-Year warranty for all parts and accessories. What more do you want? 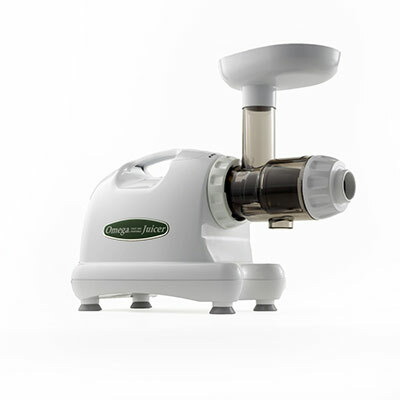 The Omega J8004 Nutrition System Juicer is a masticating juicer. The Omega J8004 is contrived with powerful single-gear commercial motor equivalent of 1/3 HP motor. This juicer is one of the best masticating juicers you find in the market. This masticating juicer is introduced to you with a 15 years of warranty. 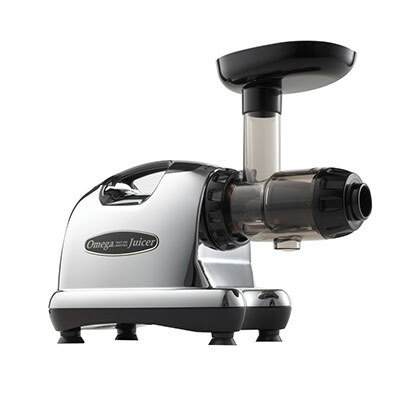 This shows Omega J8004 is a very durable juicer. Other than juicing, you can use this it to grind coffee, extrude pasta, grind spices, mince herbs and garlic, make baby food, and whip up soy milk instantly. Omega J8004 yields a high quality juice because of its high quality components. This machine uses a GE Ultem auger, which is 8 times stronger than the plastics used by other juicers. It can juice with a speed of 80 RPM which is indeed a very slow speed compared to the centrifugal juicers which can go as fast as 15000 RPM. This machine reduces the oxidation and retains the nutrients and healthy enzymes in your drink which is because of its low rotation speed. 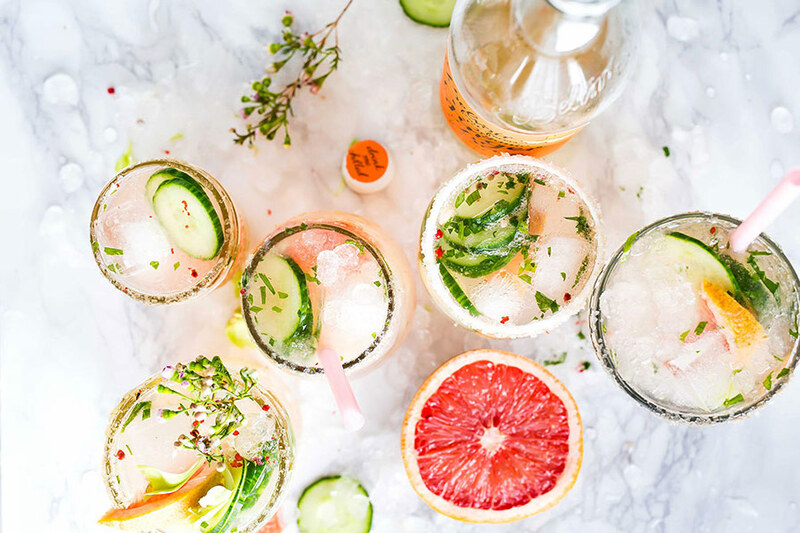 The 80 RPM speed minimizes the heat build-up which results a healthy fresh juice that health conscious individuals thirst for. Omega J8004 has a small 1.5 inch circular feed chute. Due to this small chute, you’ll need to cut fruits and vegetables into small pieces. So make sure you have enough time beforehand. 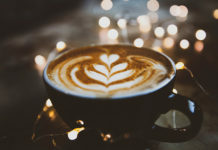 Other than few drawbacks, it’s capable of juicing a wide variety of fruits and vegetables, but it’s especially very skilled with leafy vegetables. It comes with 6 unique nozzles. This juicer is very easy-to-clean, assemble and disassemble. So getting this juicer is a very good decision you’ll make for your kitchen. 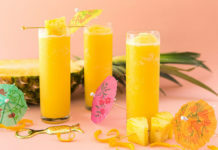 Here is an another option for you if you are looking for a high quality juicer. 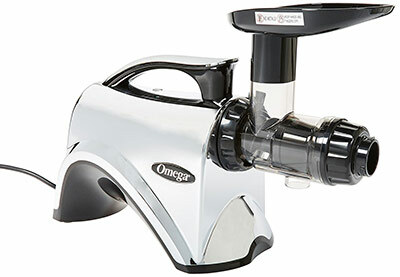 This Omega J8006 Nutrition Center Juicer is equipped with the new GE-Ultem auger, a stone-mill-like screw which is 8 times stronger than other single auger juicers providing you a 15-year manufacturer’s warranty. Wow! That’s a lot. This masticating juicer is easy to use and has a powerful motor. Being a low speed juicer with speed of 80 RPM, it processes foods protecting and maintaining healthy enzymes, preventing oxidation and allowing juice to be stored up to 72 hours without degradation. You can juice everything, from fruits and vegetables to wheat-grass. It will give you a juice full of nutrition. The dual-stage juicing system present in this juicer extractor ensures maximum efficiency and the low speed motor causes no foaming, no clogging and no heat build up. It also supports an auto pulp-ejection function which is perfect for continuous juicing and high juice yielding. The other highlights are four stabilizing feet, heavy-duty construction, and quiet operation. This extractor is UL and cUL-approved, measuring 6.5”W x 14.5”D X 15.5”H. 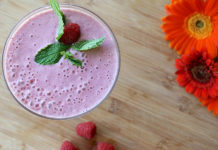 Make healthy and delicious drinks everyone will love. Omega NC900HDC Juicer is a low speed masticating juicer you would want in your kitchen. This juicer contains a motor with a gear reduction equivalent of 2 HP motor. Omega’s Nutrition System juices at low rotation speed of 80 RPM which reduces heat build up and oxidation. This extractor can squeeze juice out of items as fine as wheat-grass and leafy vegetables. With this Omega Nutrition System, you can also make all-natural nut butters, baby food, soy milk, almond milk and a variety of healthy snacks. The size of the feed chute in Omega NC900HDC is larger compared to the Omega J8006. So you don’t have to spend more time preparing before juicing. This masticating style juicer has chrome finish weighing 13 lbs. It measures 6½” W x 14½” D x 15½” H and wattage of 150. It features 5 adjustable settings for maximum juice output. 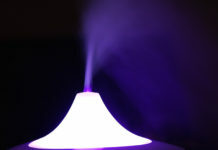 This adjustable settings increases juice extraction efficiency. You can use setting 1 for citrus fruits and setting 5 for tougher items like wheat-grass. Omega NC900HDC is a BPA-free dual-stage masticating juicer is perfect for extracting juice continuously with an automatic pulp ejection function. This juice extracting machine includes 1 juicing screen and 6 nozzles and a built-in handle. This juice extractor performs the operation quietly — so no noise problem. And it has a 15-year warranty making it a very good deal. Hey there! I'm Ushmana. 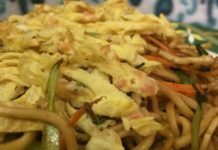 I write about food, recipes, kitchen and any other thing that interests me.